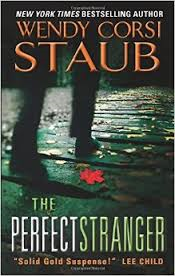 The Perfect Stranger by Wendy Corsi Staub is a 2014 Harper Collins publication. I was provided a copy of this book by the publisher and Edelweiss for review purposes. It's hard to imagine a diagnosis of cancer, a struggle to remain optimistic, especially around your family and close friends. Having someone to talk to who you can really, really open up to and speak freely with are those who are going through the same thing you are. Meredith found a group of wonderful ladies to blog with about their breast cancer battles. But, when Meredith dies suddenly the ladies are stunned to learn it wasn't the cancer, it was a home invasion robbery. Their online friend was dead because of a blow to the head. Now everyone is under the microscope as the police try to determine what really happened. After forging such a close bond with one another, the ladies feel compelled to gather face to face to pay their respects to Meredith. Landry appears to have the most stable home life of the other women and when she travels a long way from home to attend the funeral, she can't get her husband's warnings about online scams and predators out of her head. But surely none of these cancer survivors would be a killer? New York Times bestseller Wendy Corsi Staub is the award-winning author of more than seventy-five published novels and has sold more than four million books worldwide. Under her own name, Wendy achieved New York Times bestselling status with her single title psychological suspense novels. Those novels and the women's fiction she writes under the pseudonym Wendy Markham also frequently appeared on the USA Today, Barnes and Noble Top Ten, and Bookscan bestseller lists. Wendy’s latest suspense novels for Harpercollins are linked by a social networking theme and include THE GOOD SISTER (Harper, October 2013), which has been optioned for television by Fox, as well as the prequel novella, COLD HEARTED, for the upcoming summer thriller, THE PERFECT STRANGER (July 2014) and THE BLACK WIDOW (2015). Earlier in 2013, she concluded a bestselling, award-winning trilogy that was launched by Harpercollins in September 2012 with NIGHTWATCHER, which won the 2013 Westchester Library Association Washington Irving Prize for Fiction. It was followed in October by the New York Times bestselling SLEEPWALKER, which went on to become a finalist for the prestigious Simon and Schuster Mary Higgins Clark Award presented at the Mystery Writers of America Edgars Symposium in April 2013. The trilogy’s final title, SHADOWKILLER, was released in February 2013. She contributed a short story, "My Father's Eyes," to the FIRST THRILLS anthology edited by Lee Child (Forge, June 2010). As "Wendy Markham," her most recent title, THE BEST GIFT, is a sequel to the acclaimed 2006 Christmas Time Travel romance, IF ONLY IN MY DREAMS (both from Signet)and available in both paperback and Kindle. IF ONLY IN MY DREAMS is now available for the first time as an eBook in the Amazon Kindle store. Wendy won the 2008 RT Award for Career Achievement in Suspense and the 2007 RWA-NYC Golden Apple Award for Lifetime Achievement. 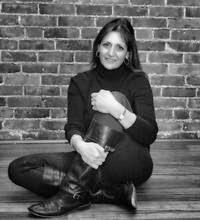 A proud recipient of the RWA Rita award, she has also been honored five times with the Westchester Library Association's Washington Irving Prize for Fiction and was recognized as one of WLA's Millennial Authors in 2000. Her Wendy Markham novel SLIGHTLY SINGLE was named one of Waldenbooks' 100 Best Fiction titles of 2002. Her novels SLIGHTLY SUBURBAN, THE LAST TO KNOW, and ASK ME AGAIN were nominated for RT Reviewers Choice awards, and five of her novels, DON'T SCREAM; THE LAST TO KNOW; MIKE, MIKE AND ME; HELLO, IT'S ME; and BRIDE NEEDS GROOM, were awarded a month's top pick review by the RT BOOK club magazine. Wendy grew up in a large, close-knit family in rural southwestern New York State and decided she wanted to become an author while in third grade. She worked in two independent bookstores during college, then moved alone to New York City at 21 to pursue her dream. After stints as a book editor for a Manhattan publishing house and an account coordinator for a major advertising agency, she sold her first novel, the supernatural young adult thriller SUMMER LIGHTNING. Early in her writing career, she published in various genres including suspense, horror, historical and contemporary romance, television and movie tie-in, and biography.